Competing and winning can be very satisfying and even just taking part is often a terrific experience. “Competition brings out the best in people,” or so the adage goes. But what if the culture of your workplace was all about competition? That everything you did was viewed through the lens of winners and losers. Where collaborating and building relationships wasn’t valued as highly as the take-no-prisoners and win-at-all-cost approach to achieving goals. Where “successful” individuals were recognised as heroes of the organisation, and unsuccessful staff were subordinate. When I have a client whose company’s culture screams ‘COMPETE!’ and they look at me with true pride saying “yeah, isn’t it great – we have been so successful!”, I know it’s going to be a long mandate. This is because research tells us that leveraging a competitive framework to drive success has a limited shelf-life for most companies. What ultimately unravels the hitherto success story is the toll that an excessively competitive environment takes on its people. It’s often a long journey before a client can recognise the unhealthy and damaging effects of a competitive culture run amok. Our family runs – all of us. Admittedly, our teenage children run twice as fast as we adults do, but much is due to their training with a tremendous cross-country (XC) squad at school. I thought XC running was a highly competitive individual sport. And while there are elements of one’s individual pursuit of excellence, it’s also about collaboration, shared goals and teamwork. 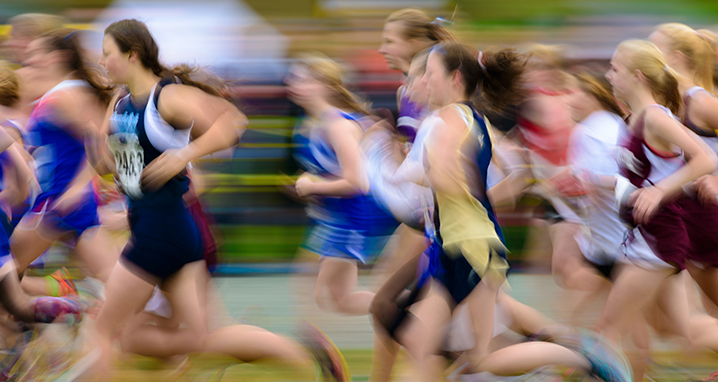 A XC squad is comprised of several runners and each runner’s finishing place counts for points towards the team’s total. The lower the total points, the better the squad places. So, encouraging your running buddies to fight for 27th place instead of 30th will boost the whole team’s performance. When a XC squad gets it right, the fastest runners set a challenging pace in training, which inspires the rest of the team to stretch themselves. The slower runners get coached by the speedy athletes through an exchange in which both parties grow. The grit and fortitude of the middle pack creates a sense of shared purpose, encouraging the naturally faster contenders to do their best. And in competition, runners who finish first circle back to the course to encourage their team mates to strive for that bit extra. I have even seen it go so far that one of our squad’s runners stopped his race to jog with another school’s competitor to ensure that kid was able to just finish after a fall. The coach of our kid’s XC squad has built an incredible culture, and the leaders of the team (the school seniors, who change each year) emphatically embody these values of co-operation, participation and effort as exemplified by Coach Mullens. He doesn’t talk about the winners, he talks about the new personal bests and the shared experiences that bind the group. Winning is not the squad’s singular objective, although more often than not, they do win. Their success is a bi-product of a team culture inspired through collaboration and achievement. Sadly, organisations all too often forget this. The XC squad to which our children belong gives me hope for the future. The kids leaving this team will not be content to work in a company where good people fall by the wayside just because their efforts weren’t gold-medal worthy. They will have seen what can be achieved by being competitive but doing so in a way which brings out the best in everyone for the mutual success of not only the squad, but of the sport as a whole. They will know that in a competition there are always those who don’t win, and how we chose to treat those who come over the line later is completely within our control. So, I ask you, are the winners in your midst team-players and valuable mentors, or has the company’s culture become one that puts the second-place holders off the team?